The Leveraging Diverse Styles℠ : Skills for Effective Global Collaboration Learning Path is ideal for anyone working globally who wants to discover how to improve global collaboration. Understand the "why" behind your global colleagues' behavior, the impact culture has on the workplace, and learn strategies for improved global collaboration. 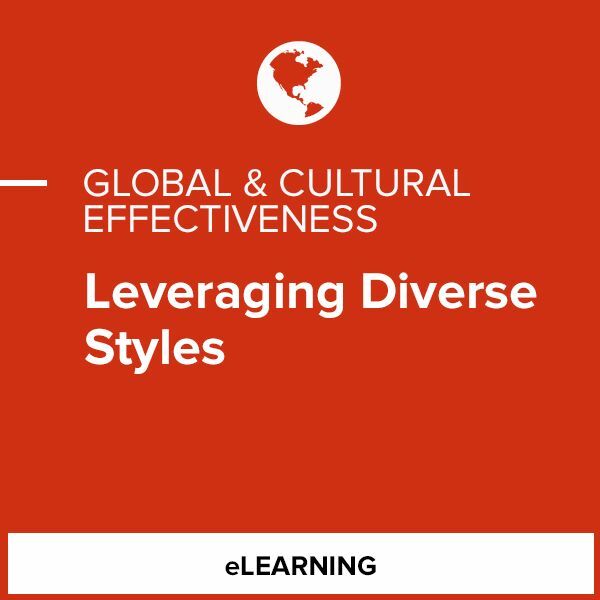 Explore the essential issues of relationships, communication, initiative, and time management, where cultural differences can make for very different work styles. For each issue, hear typical challenges, insights, and learn best practices to work more effectively. No refunds, full or partial, will be granted if the refund request is submitted after two business days from the date of purchase.